A double crisis in Washington. In the midst of a government shutdown, the United States faces a deadline to raise its debt ceiling. Treasury secretary Jack Lew joins us to talk about the consequences of a possible default, the impact of the shutdown and the economy. Plus, he has been taking heat from some members of his own party for his push to defund Obamacare. 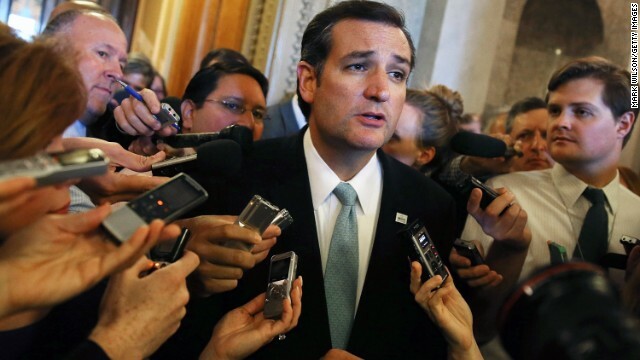 Republican Senator Ted Cruz joins us for an exclusive interview. We tackle the politics of the shutdown with our panel, Rep. Donna Edwards, Rep. Steve king, CNN crossfire host Stephanie Cutter and CNN Political Commentator Ross Douthat. Watch Sunday at 9a and noon ET.